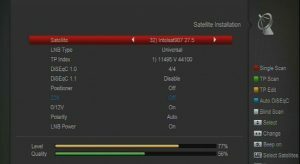 It is a a backup of Freeview multiplexes PSB 1 and PSB 3, it is not intended for direct-to-home (DTH) reception. All the channels including radio are encrypted using the BISS encryption system. 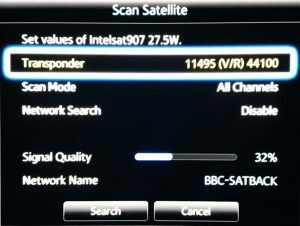 Many cheaper satellite receivers can not find the channels as they are transmitted as data services, the video and audio pids need to be added manually on some receivers. Icecrypt receivers work very well and the S1600CHD and S1600CHD SE are quite cheap and available from many stores including Maplins. These will also automatically add the correct Pids for the various channels. 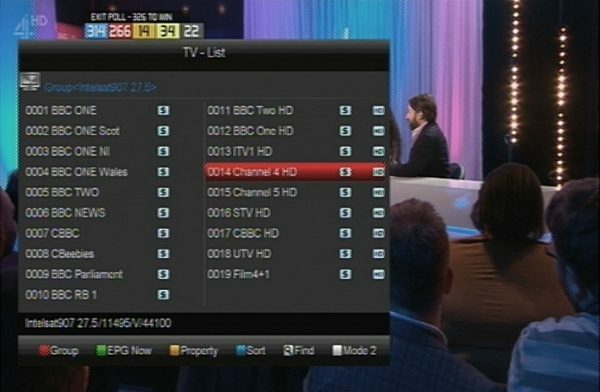 STV HD andUTV HD are not currently viewable. BISS is a rather weak and old encryption system, this is not really a problem for the PSBs. However weak the system is, they are not breaking any copyright issues and there is no overspill. BISS keys do change from time to time, though not too often. BISS (Basic Interoperable Scrambling System) is a simple scrambling system to be used in DSNG, Satellite Contribution and Primary Distribution applications. 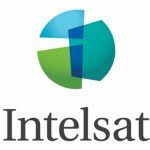 Using the DVB-CSA (Common Scrambling Algorithm), BISS is an encryption standard that was agreed upon in January 2000 by a group of professional codec vendors and the European Broadcasting Union. The system enables operators to transmit and receive scrambled signals to and from different encoders and IRDs. BISS requires no expensive and complicated CA system as a password is directly entered into the encoder and the IRD. BISS uses a fixed Session Word (SW, 12 digit hex) and DVB-CSA for encryption. The Session Word is used to derive a Control Word (CW 64 bit) for DVB-CSA. Programmes like ProgDVB and MultiDec have DVB-CSA builtin. Others use a CSA or SoftCSA plugin DLL. To obtain a 12 digit key, remove the 4th and 8th groups of digits, these are check sums. Then press Set. The channel should now be open. Repeat the process for all channels if necessary. Is it legal or illegal to view these channels? Well the answer has to be yes, viewing encrypted copyright content without permission is illegal. 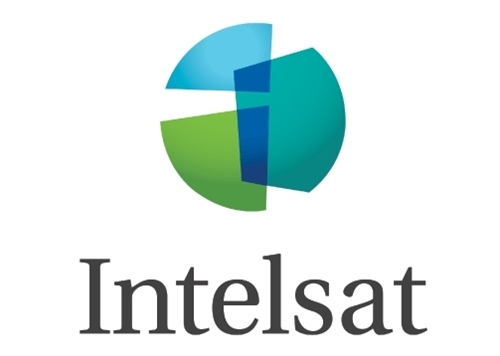 The BBC-SATBACK service on Intelsat 907 satellite is used as a backup service for the UK’s Freeview system, should the Freeview mast relay service lose its feed from their parent transmitters. 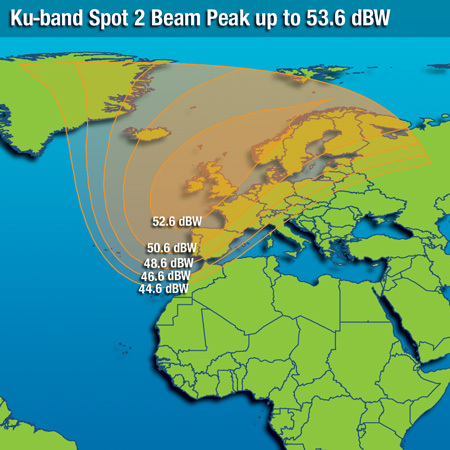 In a deal signed in April 2007, Arqiva uses BBC-SATBACK to feed the signal to 90 main transmitter sites around the United Kingdom. 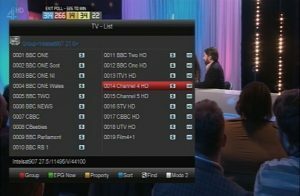 Please note that UTV HD, STV HD and BBC Alba are data channels, and are not currently available.